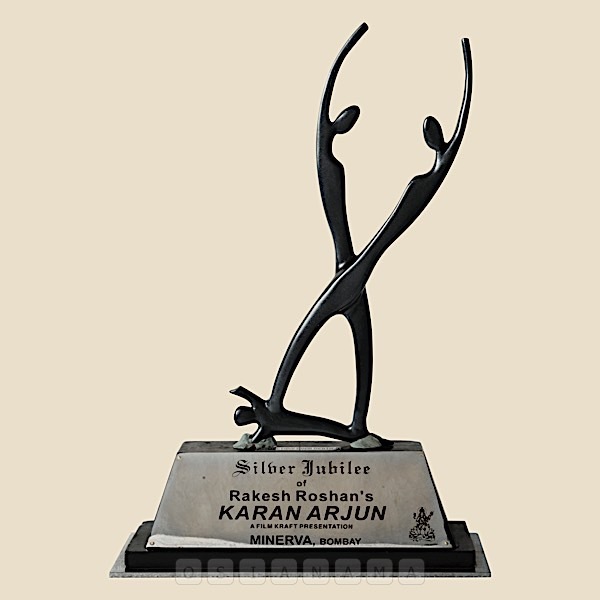 Check out the Silver Jubilee trophy of Salman Khan - Shah Rukh Khan starrer Rakesh Roshan's KARAN ARJUN. Karan Arjun was a huge hit in interiors, Rakesh Roshan is such an underrated Director. Even Rajamouli agrees that Karan Arjun was the inspiration behind Magadheera. Check out the Silver Jubilee trophy of Salman Khan starrer TERE NAAM. 100 days celebration of KARAN ARJUN at Vijay Talkies, Shahranpur. Check out the 100 days & Silver Jubilee posters of Megastar Salman Khan starrer Dulhan Hum Le Jayenge.